Type osu.up.edu.ph on your browser. On the OSU website main page, click on the UP Gazette page. On the UP Gazette page, you will see the Google Custom Search bar. Type the keyword that you want to search. Google Custom Search will display all related documents. Click on one of the search results, the file will open. To make search easily, press control + F, a search bar will appear at the upper right side. Type the keyword to the search bar, press enter, then the result will be highlighted. 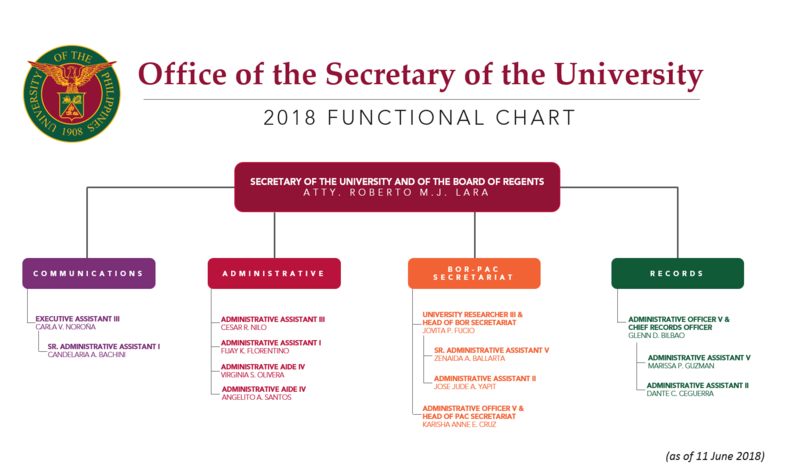 All requests for certified true copies must be for records/documents in the possession of the Office of the Secretary of the University in accordance with its function as secretariat to the Board of Regents. Requests may be sent by facsimile to the Records Section, through fax number 920 68 97 or through e-mail at [email protected]. All requests must be picked-up from the Records Section during releasing runs prescribed in Section B. Electronic copy of documents will not be released. 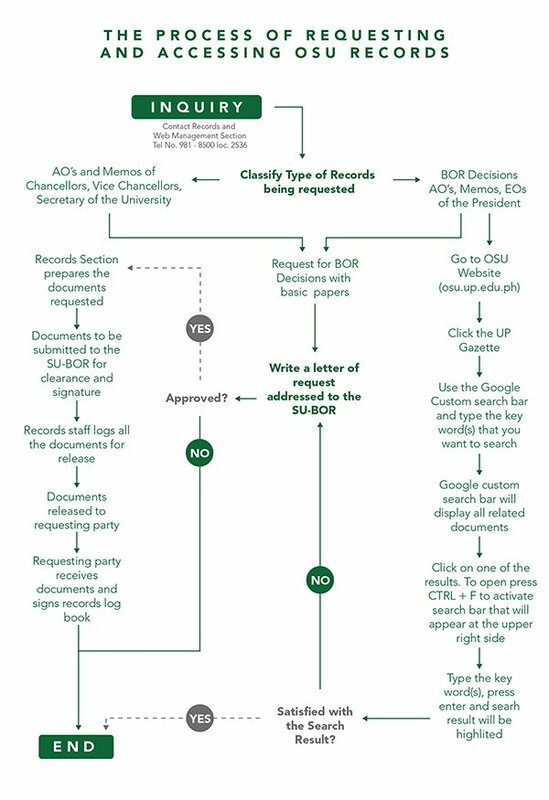 Requests for copies of records/documents should be described in sufficient detail to enable the Record Section Staff of the Office of the Secretary of the University to retrieve the related records/document. Reasonable restrictions may be imposed upon general requests for confidential/sensitive/restricted documents. 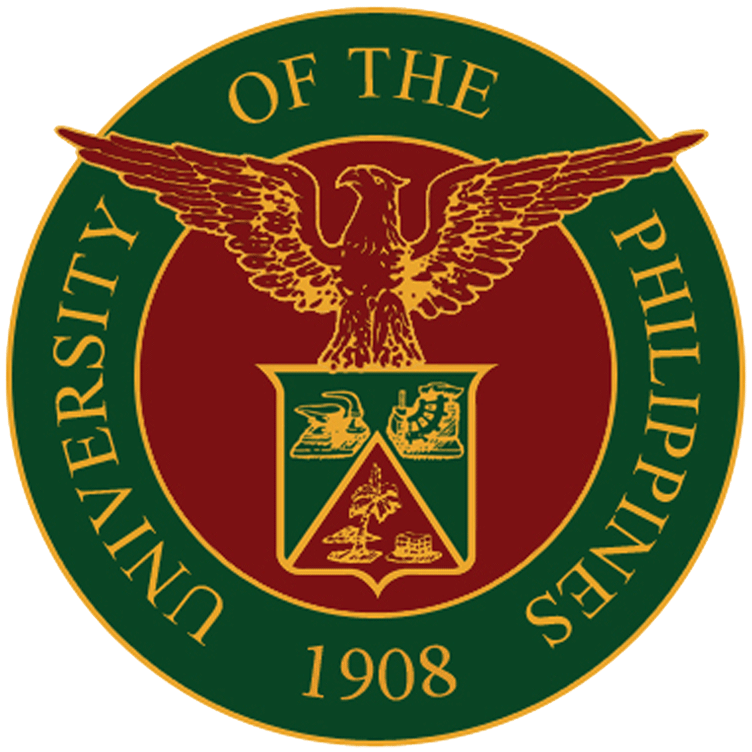 Requests for copy and requests for certified true copy of confidential/sensitive/restricted documents should be made in writing addressed to the Secretary of the University and of the Board of Regents of the University of the Philippines System. 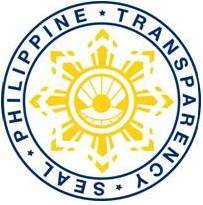 Documents classified as confidential/sensitive/restricted are for ROOM USE ONLY upon the approval of the request by the Secretary of the University. The 1970 to present issues (as of April 2016) of the Gazette are now in electronic form (searchable pdf format) and can be accessed/downloaded through the OSU’s website (http://osu.up.edu.ph/the-up-gazette/). Documents from 1940 to 1999 were transferred to the Archives Section of the Main Library of UP Diliman.